Morning ladies, today I'm looking at footwear & in particular styles that form the basis of any stylish wardrobe. As whilst it's always nice to treat ourselves to an impractical statement 'taxi' shoe that looks amazing but we can only walk a small distance in, the majority of our time we want stylish, on trend shoes that are comfy to wear & will also stand the test of time in both quality & design. So when I was recently contacted by Clarks to see if I'd be interested in working together I thought it would be the perfect time to showcase what I feel, are the essential styles in footwear that every wardrobes needs. After all we all know Clarks make great quality leather shoes, as like me you've probably made or still make several trips a year to them to kit your children out in shoes. But how often do we take a moment during those visits to take a peek at the styles on offer for us? And let's face it, they've been making shoes since 1825 so they certainly know what they're talking about in the footwear department. Did you know that they still use a single block of hornbeam to hand carve every design of shoe? Not to mention are passionate about keeping our feet healthy & happy by designing iconic footwear which can only be a good thing. So let's get started with a style I've only dipped my toe in briefly but feel this could be the season where I may get more on board & that's the flat mule. 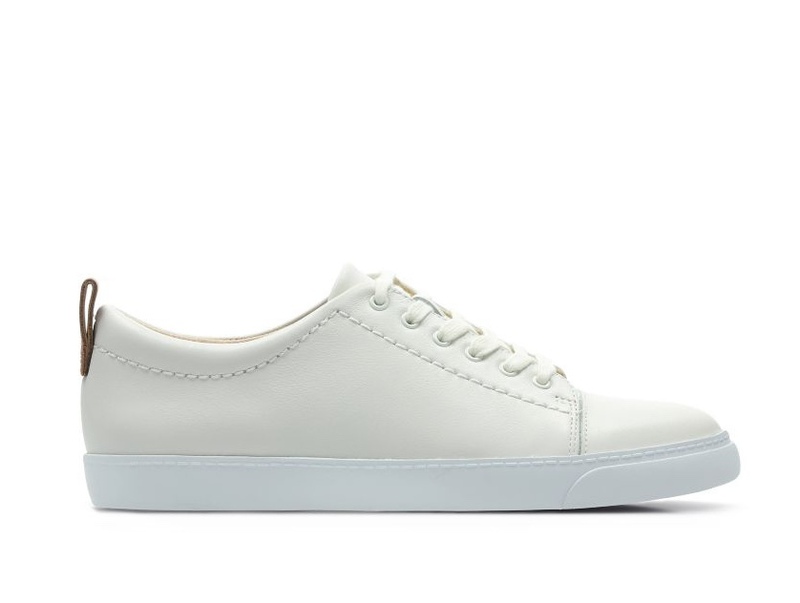 Dressier than a trainer & I personally feel a little less heavy than a full on loafer this style of shoe is perfect for those of us who love flat shoes & looks stylish teamed with cropped jeans or cigarette pants. The above pair are a great example of a timeless style that aren't going to date & won't drawer attention away from your outfit but will add a little on trend lift to any understated look. Needless to say my second design of footwear has to be the white trainer. When they first had a revival several years a go I really didn't think they were for me but now I'd be lost without mine. Extremely comfy, not to mention practical these can be styled with anything from maxi dresses teamed with a biker, to a simple boyfriend jean & oversized knit, or even a tailored trouser suit the options really are endless & once you've tried them there really is no going back. Stick to a simple white pair like the ones above for something that can be dressed up or down & then consider investing in some others like these metallic babies as your trainer obsession unfolds. Another 'must have' has to be the timeless & oh so stylish ballet shoe, something I wear I lot of & are perfect for adding that nod to Parisian chic we love so much. For me if you're going to just own the one pair (& yes my addiction to ballet pumps goes a lot further than one!) then it would have to be a red pair. 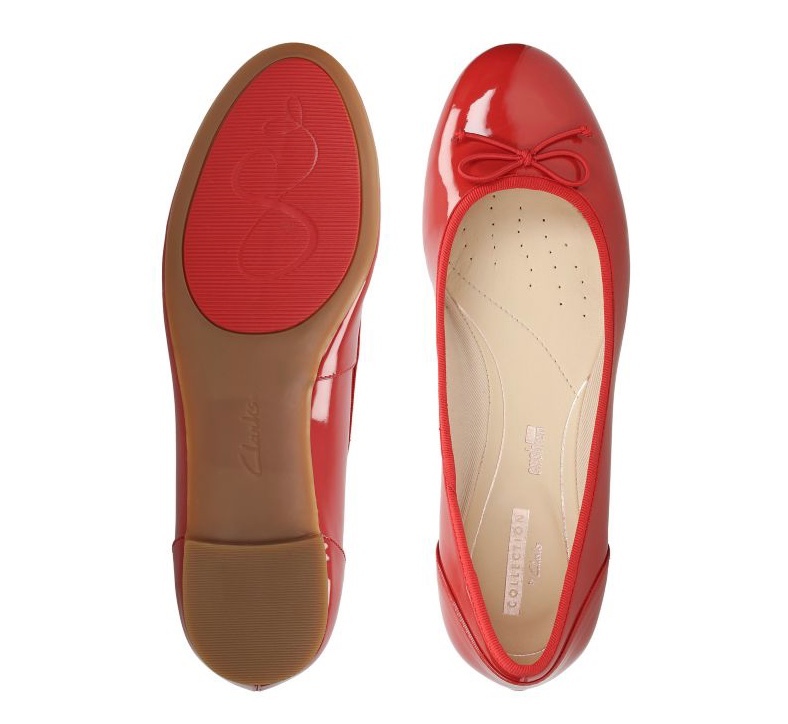 Again if you've been following me for a while you'll know how I have a huge fondness for adding a pop of red to all the neutrals in my wardrobe & these patent ballet pumps would be perfect for creating a stylish splash of colour to any look. Of course you'll also never going wrong with a black pair like these, as well as a navy pair such as these that has a little extra detailing if you find the traditional ballet pump a little plain. 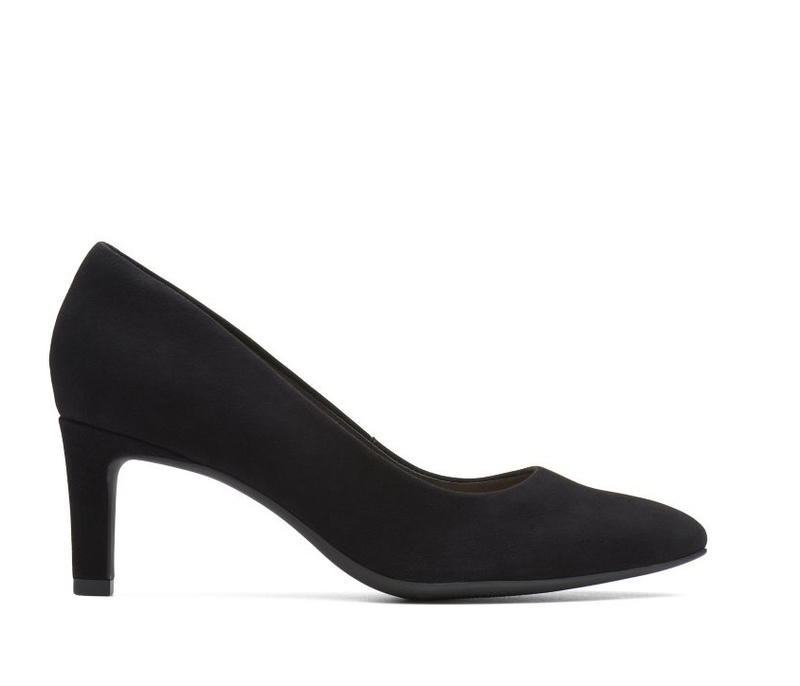 Moving away from flats now & onto the classic black court shoe. Perfect for dressing up for a night out as well as adding glamour to the simplest of looks. 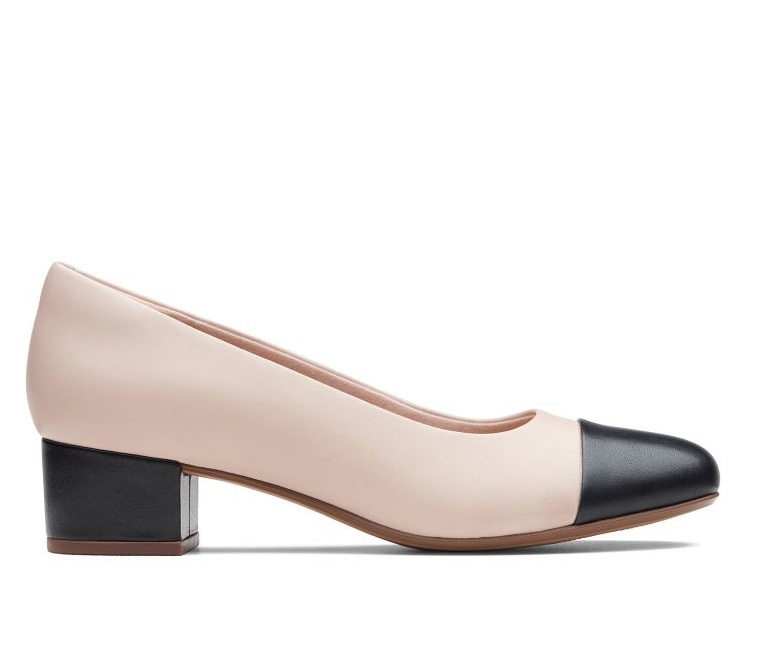 The above pair look ideal in terms of style & the all important heel height. I personally love an elegant heel like this teamed with rolled up boyfriend jeans with an oversized knit & statement clutch for a real laid back glamour look. Or what about these two toned courts for a nod to Chanel. Very stylish & ideal for dressing up a pair of cigarette pants teamed with a statement top. Onto boots now, which along with trainers is probably the style footwear we'll all be wearing the most of over the coming months. 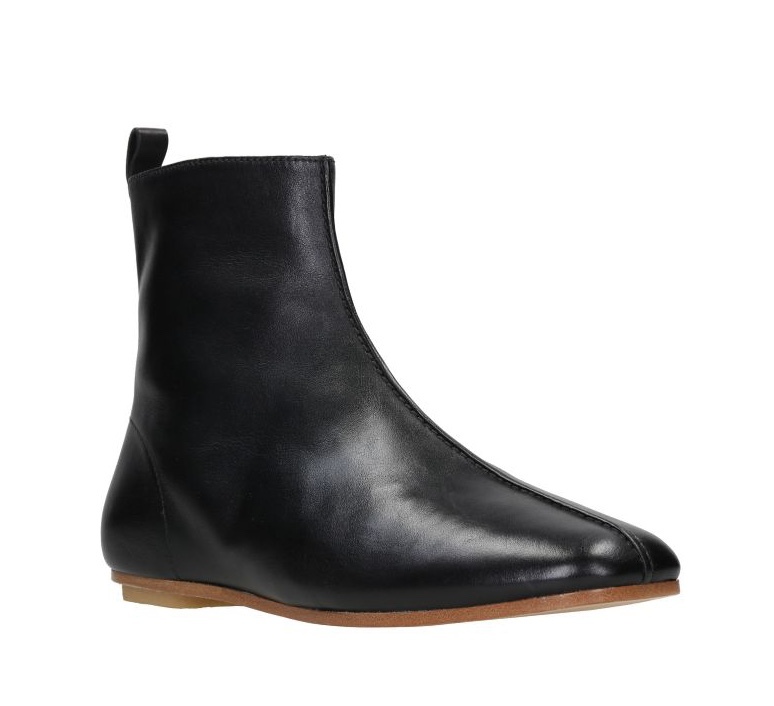 I just love the above flat fitted black ankle boot. Stylish & practical & perfect for pairing with skinny jeans or leather leggings. These beauties are definitely on my wish list. Then of course for more casual days something with a little more height is perfect for teaming with a chunky knit. 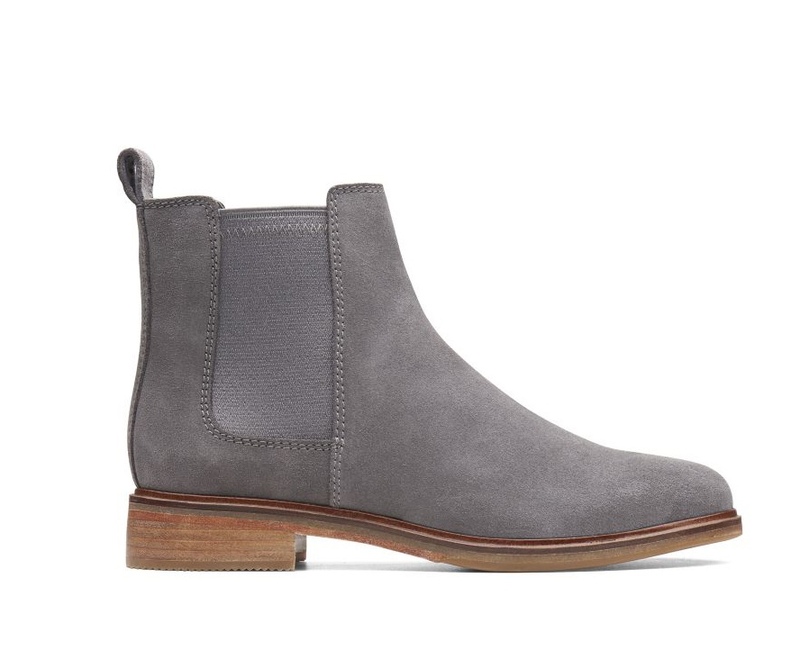 Plus a grey ankle boot is a great wardrobe addition, if like me you have a huge weakness for neutrals & the colour grey in general. Then for those winter days where it's a little slippy underfoot you also need a pair of gripped, heavier soled boots that are practical as well as stylish then the above navy boots look like they'd do a great job of ticking all the style boxes, whilst helping to keep you upright. 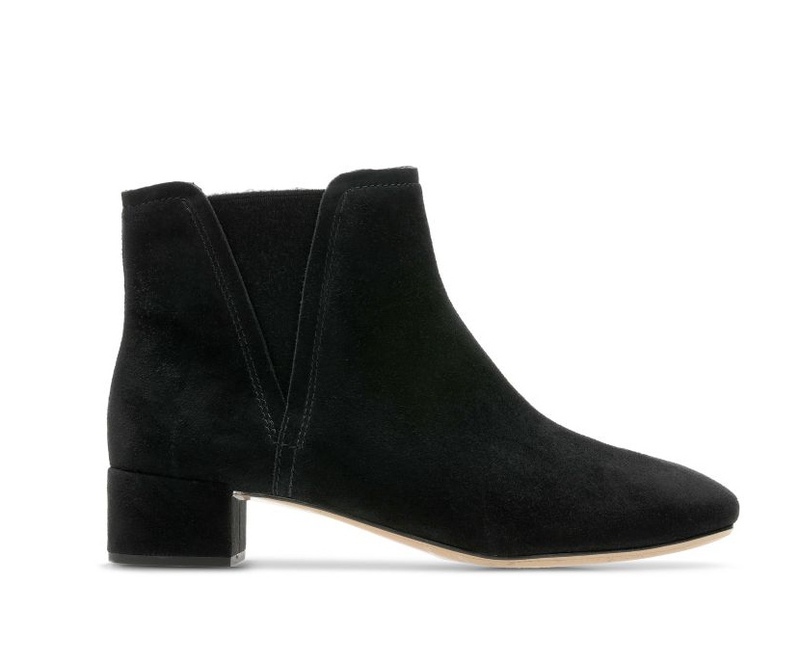 Of course I couldn't do an essential footwear post without mentioning the ever useful black block heel suede ankle boot. Ideal for dressing up or down be it jeans, trousers, skirts or dresses & on a cost per wear basis these will soon earn their keep. Then for something a little dressier I love the look of these lace up heeled ankle boots, that would look stunning teamed with a maxi dress/skirt & biker for a night out. Then for daytime swap the heeled ankle boot for a knee length block heel boot for the perfect footwear for wearing underneath your maxi dresses & skirts. 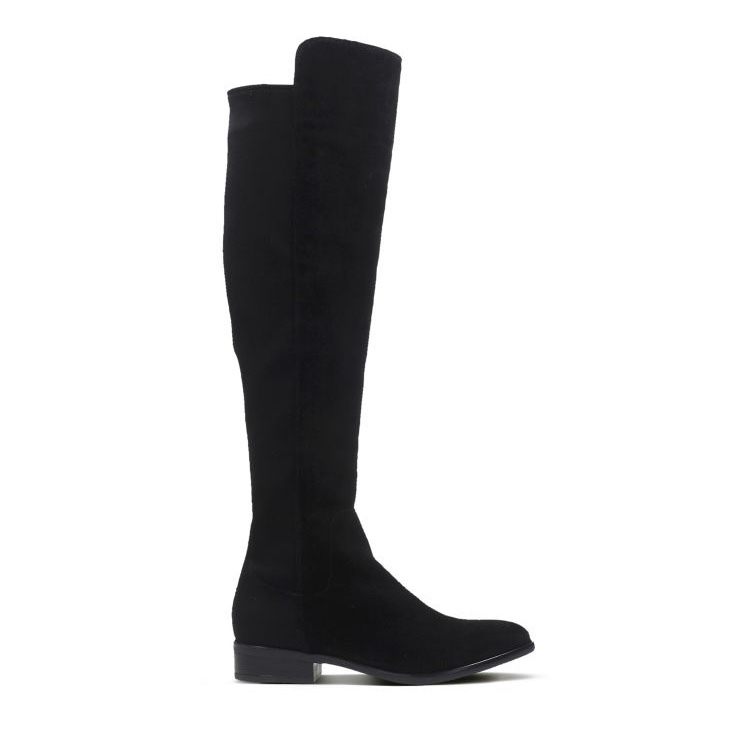 And finally an over the knee boot makes a great stylish winter staple. 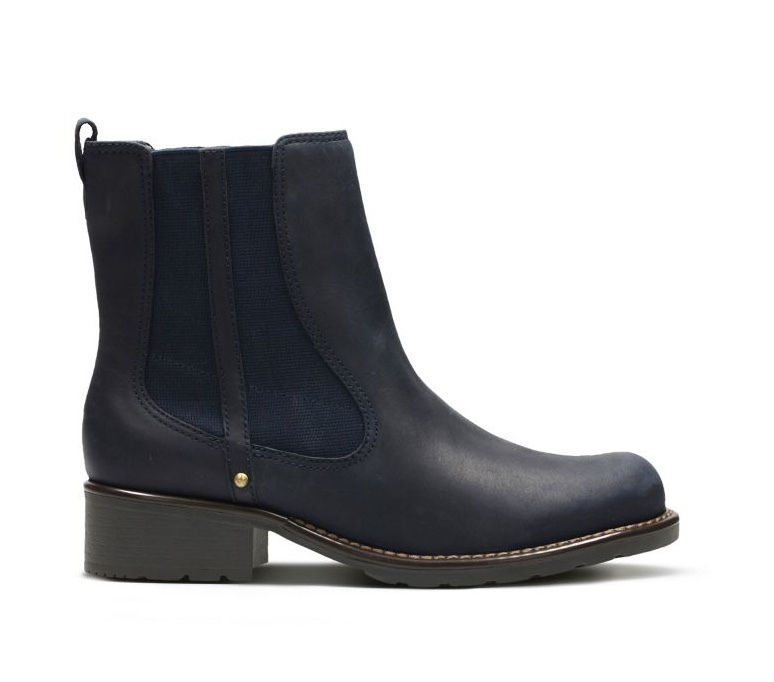 I have the navy version of this boot & can vouch for how comfy they are. I wear mine with leather leggings or skinny jeans but equally they'd look great under a maxi or even with an 'A' line leather knee high skirt. Of course there's lots of other styles & I could go on but the above selection are a great basis on which to start but if you've not recently taken a peek at Clarks, why not take a look at their full collection here. As part of the collaboration Clarks kindly invited me to choose a pair of shoes from their newly launched Grace Collection that is based on 'beautifully deconstructed designs, using soft, luxurious leathers'. 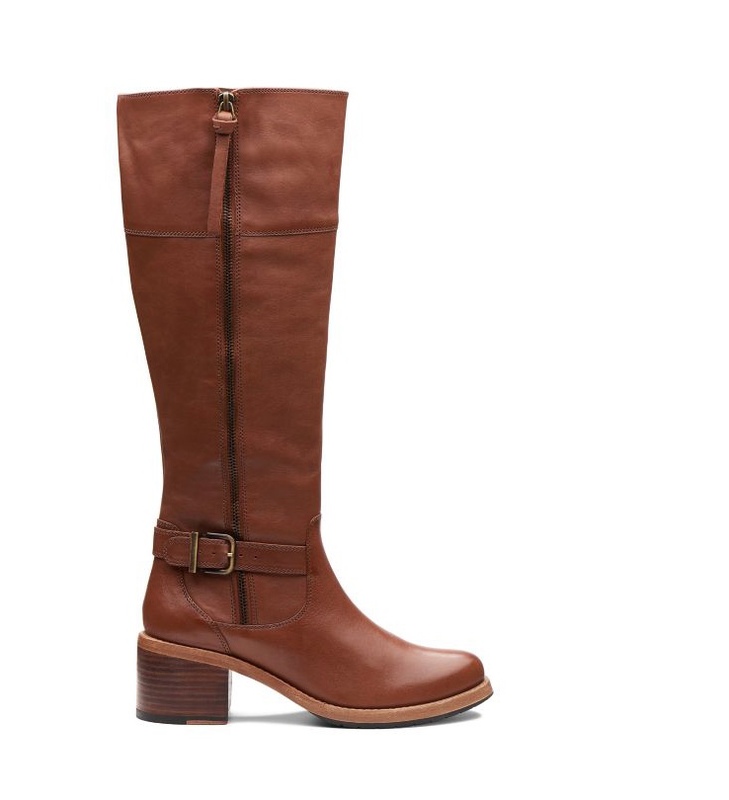 I chose their Grace Bella ankle boot that I'm wearing below as part of today's look. As you can see from the below photos I went with for the khaki but the boots are also available in black if you're on the look out for a black ankle boot. True to size (I went for a 6½/40) these boots are incredibly comfy from the moment I took them out the box to try them on. Made from nubuck leather they're so soft to the touch both on & off that there's no need to break them in & I've not experienced any initial rubbing as I can on some new shoes/boots. As you see from the above photograph the boots are block heels at a height of 4½cm, which makes them the perfect everyday height, with a slight curve for added interest. 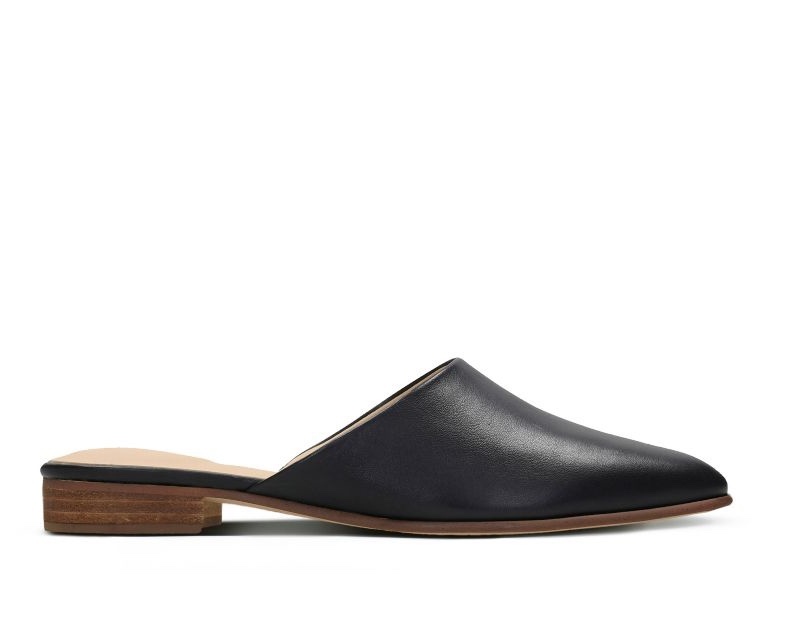 Plus as well as being made from extremely soft leather they also feature Clarks' CushionPlus technology providing underfoot cushioning that seriously makes you feel like you could walk miles & your feet will still be talking to you at the end of the day. I've kept the styling nice & simple for today's look & teamed the boots with some skinny jeans & statement khaki denim top & I just know they're going to fast become one of my 'go to' pairs of boots during the coming months. Shirt - Isabel Marant Etoile - half price in the sale! So ladies are you a fan of Clarks shoes & what would you 'must have' footwear list include? Plus if you are tempted to 'click the button' then Clarks currently have 25% off selected full price items here with discount code SELECT25. So anything I've missed off the list that in your opinion forms a great foundation on which to build your shoe collection? As always I'd love to hear your thoughts. This post was written in collaboration with Clarks.